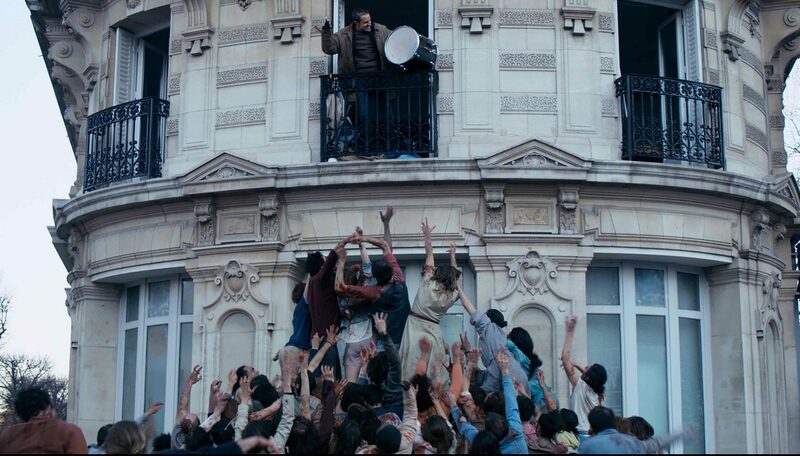 Even the die-hard fans will tell you, the horror world doesn’t exactly need anotherzombie/outbreak thriller set in a major city. But in a genre packed with toothless throwaways and constant Romero-knock-offs, Dominique Rocher’s deeply involving The Night Eats the World is a refreshingly real-world spin on the whole people-eating-people scenario. Slower, quieter and in many ways, more unnerving than a great deal of the rest of the undead market, it’s a defiantly human story that wallows in the fear linked to what so many other similar thrillers choose to actively avoid: emptiness. After falling asleep at an uncomfortable party in his ex’s Paris apartment, Anders Danielsen Lie’s Sam wakes up to find all of the other guests dead – and eating each other. Fighting off as many as he can, and ultimately quarantining himself in the flat, he slowly starts to rebuild his life, post-apocalypse, finding solace in his new everyday routines and by making music with whatever he can find. It’s not exactly the most eventful of zombie movies, and with only one living character, Rocher’s ambitions at first might seem incredibly small. But the longer we spend with Lie’s Sam the more you start to realise the depth that both he and the director are angling for. It’s less about the zombies and Sam’s attempts to live among them, and more about what he holds onto from his past life; how he keeps on living not just on a physical level, but on an emotional and psychological one too. What keeps us human in the face of an apocalypse? But if you’d rather just see all the zombie stuff, there’s just about enough to scratch that itch too. Rocher cuts away a lot of the usual incidental music and SFX, and his undead are more animalistic than you’d expect, making for a thoroughly unsettling bunch. They’re definitely not the focus, and Rocher gives them as little screen-time as he can get away with, but their presence as a horde is always felt, and although the genre subversions are fairly tiny, they’re neat enough to make this one feel fresh. While it might not be the loudest or proudest of zombie movies, in putting its human drama first, The Night Eats the World stamps out a clever little niche for itself and proves to be a thoroughly involving survival thriller, with the psychological chops to be deeply affecting too. The Night Eats The World was screened as part of Arrow Video FrightFest 2018 and will be released in the UK on home-entertainment formats on 27th August, courtesy of Signature Entertainment.